Established in 1973 by Geoff and Margaret Phillips our business was initially involved in the supply of animal health products to the region’s pig producers. It has evolved to offer a wide range of products to agriculture and industry and is split across three main divisions: Animal Health, Pig Equipment and Pressure Washers. Within all three divisions of our business, we share the same purpose – to provide customers with ‘best in class’ products and services and find the right product to suit their needs. Animal Health is where we started and we continue to pride ourselves in offering the best in animal health products, farm hygiene and equipment alongside all other commodities associated with livestock farm enterprises. We employ a professional qualified team to provide knowledgeable expert advice in pig, cattle and sheep sectors. In 1976 we started up a new division, then Phillard Pump Co, manufacturing a robust range of pressure washers for agriculture and industry. Now known as Phillips Pressure Washers this is a key part of the business supplying, servicing and maintaining a full range of Hot and Cold Water Pressure Washers across the region. Our pressure washer division now extends beyond agriculture in to other industrial and commericial uses such as haulage and the automative industry. From manufacturing a basic range of Pig Equipment 45 years ago, we now offer a comprehensive range of feeding and drinking equipment for pig producers. We seek to bring together a range of products from around the world offering leading performance in terms of function and quality. We have joined forces with I-TEK – European leaders in the design and manufacture of pig buildings and equipment. This has further strengthened our range and is a great opportunity for UK producers to benefit from their experience gained from supplying the pig sector worldwide. Our core values of quality, trust, value and service underpin all that we do, but really come to life when we can translate that into a product or service solution that adds genuine value to your business. 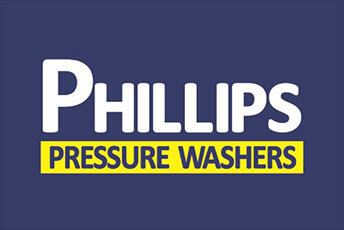 We like to deal with Phillips because they are a good strong, very reliable, independent family run business. We couldn’t have asked for any more so many thanks from all of “The Pod Squad”! We've worked with Phillips Animal Health for many years and they've always given us great service. In fact there have been many times when they've gone above and beyond to get the job done. 1973 - Geoff Phillips started his one-man business with the support of his wife Margaret in 1973 from his home in Horncastle, Lincolnshire. 1973 - The early years were spent out on the road selling products from his van and calling on the help of his father to support the growing number of deliveries. 1983 - By 1983, it was time to move to a bigger premises and the decision to relocate to the site on the Boston Industrial Estate was made. 1998 - 1998 saw the business celebrate its 25 anniversary, proud of its reputation as a local business supplying goods renowned for quality and longevity. 2013 - 2013 saw Phillips Animal Health mark its 40th year in business. 2018 - Today the business is well known in the local community and still prides itself on providing a one stop store to local farmers, small holders and pet owners.